Most “fur free” brands, like Ralph Lauren, will continue to use sheep fur . Photo: Sourced from Forbes . Over the past months, several prominent designer brands have announced that their collections will henceforth be “fur free”. Animal activists have been quick to claim this as signalling a fundamental shift in societal values, the emergence of new ethical marketing principles, and the imminent demise of the fur industry. On closer examination, however, the brands’ decisions look more like a big helping of cynical risk management, with a dash of marketing spin. “Jinx” looks spectacular in a matching leather jacket and skirt from Versace , but the brand will no longer use fur because it doesn’t want to kill animals. Image: Die Another Day (James Bond). This can be a legitimate ethical decision, especially if you are a vegan and don’t eat meat or use any animal products. But most of us do eat meat and wear leather. And most “fur-free” designer brands – including Versace – continue to use leather … and shearling, which is simply a fancy name for sheep fur. One justification for this apparent hypocrisy is that leather and shearling can be seen as by-products: “the envelope that dinner came in.” If we are killing cows (or sheep) for meat, the argument goes, we might as well use the leather (or shearling) too. Underlying this argument, of course, is the belief that eating meat is necessary – a notion that vegans and animal-rights groups like PETA do not accept. But there are other problems with this justification for shunning most furs while embracing leather and shearling. First, most designer brands continue to use leather that does not come from food animals, such as python and alligator. Second, sheep are not the only furbearing animals that are eaten by people. Rabbits come quickly to mind. But beavers, muskrats and other wild furbearers are also used for food by First Nations communities and others across northern Canada. Raccoons and opossums are eaten by trappers and their families in the US. Animals not eaten by people are returned to the bush where they feed other wildlife. And while we don’t eat farmed mink, their carcasses are composted to produce organic fertilisers that restore the fertility of the soil – to grow soybeans for Ingrid Newkirk’s tofu stir-fry. Nothing is wasted. 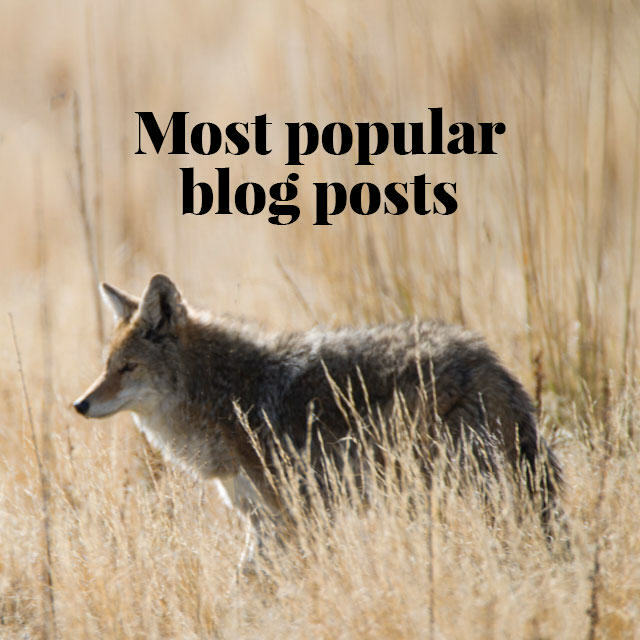 SEE ALSO: Top 5 tasty furbearers: Muskrat stew and more. Clearly, the argument that using leather and sheepskin (or shearling) is more ethical than using other furs does not stand close scrutiny. Gucci’s Marco Bizzarri says real fur (shearling excepted) is unsustainable, but shows no signs of giving up other animal products. Photo: New York Times International Luxury Conference, 2016. Another argument for shunning fur was recently proposed by Gucci CEO, Marco Bizzarri; he claimed that being “fur-free” is a way to promote sustainability. Unfortunately for Mr. Bizzarri, fur is more sustainably produced than most of the alternatives. The wild-fur trade is highly regulated, nationally and internationally, to ensure that we use only a small part of abundant populations; never endangered species. Some furbearers are so abundant that they would have to be controlled, even if we didn’t use fur. Over-populated beavers flood homes, roads, fields, and forest habitat. Coyotes are the main predators of lambs and calves, and are now attacking pets and even people in many regions. Raccoons and foxes spread rabies and other dangerous diseases. And the list goes on. But if we have to cull these animals, surely it is more ethical to use the fur than to throw it away. Fur farming is also highly sustainable, because farmed mink are fed left-overs from our own food production – the parts of fish, cows and pigs that we don’t eat. Farmed mink are champion recyclers, producing a natural clothing material, mink oil (for protecting leather) and other valuable products (including the best eye-lash fillers ever!) from food industry wastes that would otherwise clog landfills. As explained above, they also provide natural fertilisers to replenish the soil, completing the agricultural nutrient cycle. This is true sustainability. By contrast, the fake furs and other synthetic materials that animal activists claim have rendered fur unnecessary, are generally made from petroleum – a non-renewable and highly polluting resource. Perhaps Gucci should take another look at its sustainability policies? SEE ALSO: Sustainable fur: Global campaign highlights benefits of real fur over plastic fake fur. Some opponents of natural fur insist that “dressing” it stops it from biodegrading. In a simple experiment, Truth About Fur proved that’s nonsense! When evaluating ethics and sustainability we must also consider how products are manufactured, used, and eventually disposed of. Fur scores remarkably well on all these criteria. Fur pelts are “dressed” (preserved) using benign chemicals (e.g., alum salts, which you can put in your bath), because the fur and hair follicles must be protected. This is a much gentler process than leather tanning, where the goal is to burn away the fur hairs. And fur is often used in its natural colours, avoiding the dyes required for most textiles. 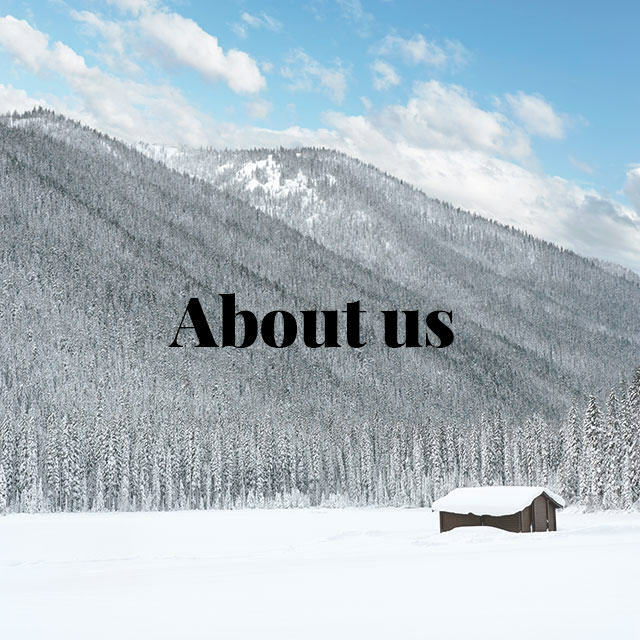 Fur garments and accessories are individually crafted by skilled artisans using heritage techniques; they are not mass-produced in sweatshops. Fur is also a remarkably long-lasting material: a good-quality mink coat will often be worn for 30 years or longer. 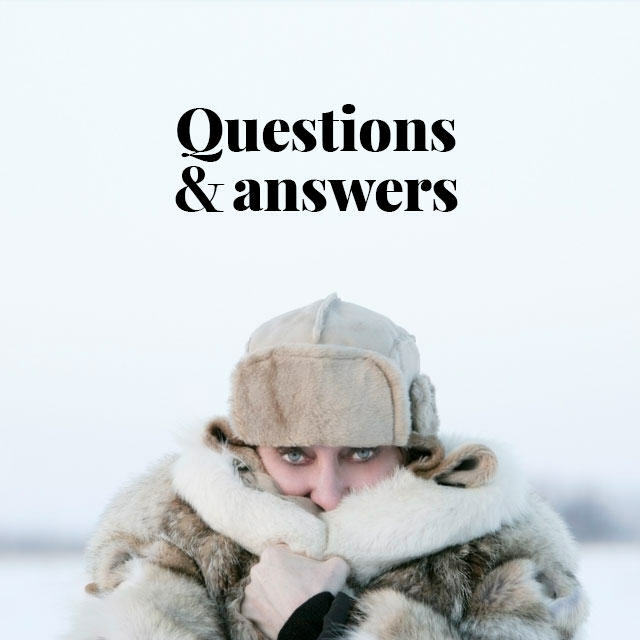 As styles (or your body mass) change, a well-made fur garment can be taken apart and completely restyled, or handed down to daughters and nieces to be worn vintage. Old fur coats are also recycled to make vests, accessories, or even pillows. 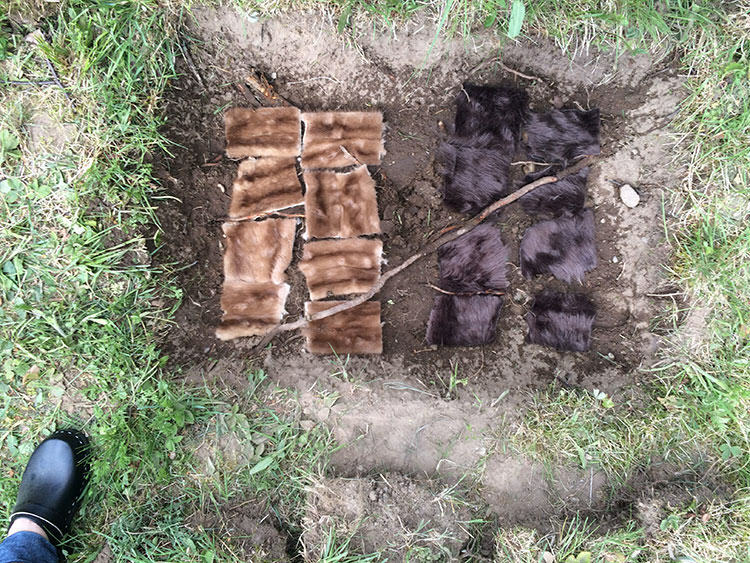 Finally, after many decades of use, your old fur can be buried in the garden where it will quickly biodegrade. Fake furs and other petroleum-based synthetics, by contrast, are not usually worn for many seasons (it’s not called “fast fashion” for nothing! ), but – like other plastics – will persist in the environment without biodegrading. Worse: troubling new research shows that these synthetics shed microfibers every time they are washed – tiny bits of plastic that leach into the waterways and are now being found in the intestinal tracts of oysters and other marine life. If we are concerned about animals and the environment, it is not at all clear that fakes are a wise choice. So if it’s not really about ethics or sustainability, what should we make of these designers’ decision to drop fur? According to the Jing Daily, a leading digital publication on luxury consumer trends in China, a review of social media comments showed that many young Chinese luxury consumers believe the whole thing is a marketing ploy. Others thought the “fur free” stance was simply a way to boost profits at the expense of consumers: “Stopping the usage of fur can help Gucci decrease their costs and increase their profits. And there is no benefit for consumers as they will not lower the price,” a Weibo user named “Joey Zhenyi” wrote. And some suggested that “the brand is just making a gesture,” and that a fur-free policy was a way for the company to “make it look sustainable”. These young people are remarkably astute. After all, even Greenpeace, the leading environmental activist group, does not campaign against fur, because the modern, well-regulated fur trade is not considered to be an environmental problem. But in a world where media-savvy animal-rights protest groups attract far more public attention than conservation scientists or biologists, dropping fur has become a quick and easy way to show corporate concern for ethics and sustainability, at virtually no cost. In fact, these brands will certainly lower their security costs by not having to deal with activist protests. So the real reasons why some designer brands have recently stepped away from (most) fur are probably a lot messier and less noble than they would like us to think. Unfortunately, by encouraging more use of non-renewable, polluting, and non-biodegradable alternatives, these “fur free” brands are potentially doing more harm than good for animals and nature.